Are you want to learn Preposition & Preposition Examples ? This blog is one of the best for you. Here, discuss Preposition Definition, use, Preposition Examples. We suggest you must read all post on this blog. Today I posted an important article for you. 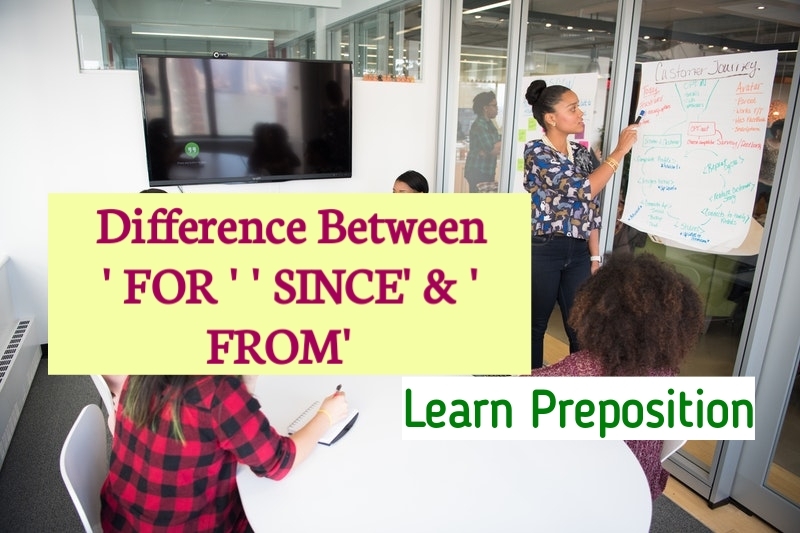 The difference between For, Since & From. This is the most useful preposition in English Grammar. He has been in service for 6 years. Preceded by Present Perfect Tense. Preceded by present perfect continuous tense. He has been absent from school since Monday. I have been waiting for you since 7 o'clock. 1.From refers to a point of time in all tenses. He starts the work from to day. He began the work from yesterday. He will commence the work from tomorrow. I have been walking from the morning.